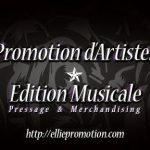 Ellie Promotion was created by Elodie Briffard to propose a human and personalized alternative to independent bands as well as the organization of festivals and concerts. Elodie Briffard is an independent press officer with a specialty in Press and Events Relations and Artistic Career Management. She is also an assistant label manager at the Membran Entertainement Group. Her job is to promote albums, video clip, concerts and festivals, and organize showcase. 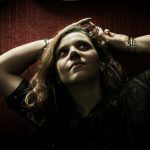 Based in Paris, she offers her services to bands all around the world, just like Rock Nation. Feel free to contact her from Rock Nation, you are more than welcome !